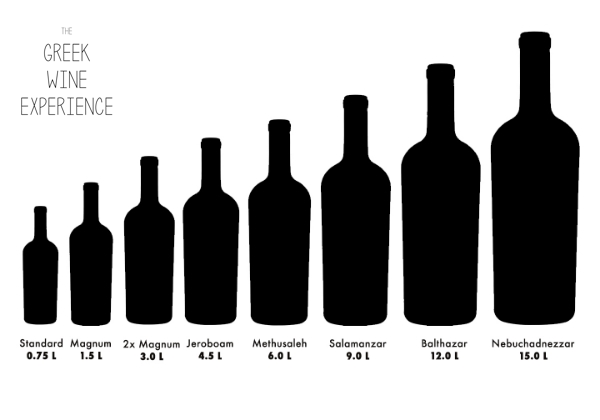 29 Oct When Wine Bottle Sizes matters! • Rehoboam in terms of Champagne Bottles is only 4.5 litres or 6 bottles. Is the size of the bottle of wine affecting it’s quality? Experts support the fact that wine is getting aged efficiently on a larger bottle, as there is a lower proportion of oxygen / wine. The higher content of wine inside the bottle, ensures a slower evolution, thus gaining complexity. Choosing a magnum, instead of two standard bottles, is ideal for a large group who wants to enjoy the special quality of wine. Moreover, magnum bottles proved excellent for aging in the cellar, promising more value with time and greater enjoyment when drinking it.